The Basketball Hall of Fame Belfast Classic has announced its continued partnership with CBS Sports Network for the second year running, to televise the upcoming three-day collegiate basketball tournament. In addition to this partnership, the tournament will also be broadcast across BBC Sport NI Online, meaning more basketball enthusiasts throughout the world will have the ability to enjoy the fast-paced, on court action of the Belfast Classic. As the only NCAA tournament to be played in Europe, the event will take place in Belfast, Northern Ireland from November 29 to December 1. Following the outstanding success of last year’s inaugural tournament, this year the Belfast Classic has doubled in size, bringing eight NCAA Division I College teams to compete for the Belfast Classic Cups. 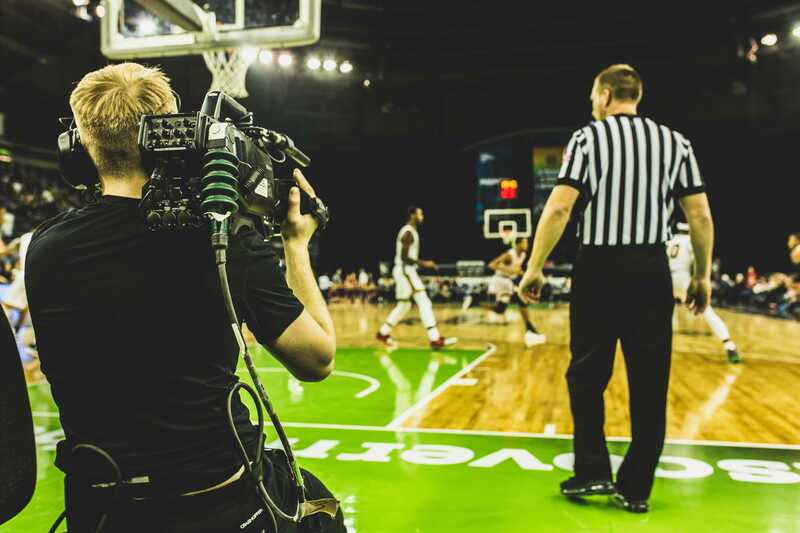 This year CBS Sports Network will televise two games per day, including two live bracket finals from Belfast’s SSE Arena into 60 million homes live across America. In addition to CBS SN, BBC Sport NI Online will broadcast two collegiate basketball games live on day two of the tournament, Friday November 30. The Basketball Hall of Fame Belfast Classic’s partnership with both CBS SN and BBC Sport NI Online will provide the capacity to showcase the talents of eight NCAA Division I college basketball teams to college sports fans and basketball enthusiasts across the UK and United States, against the backdrop of Northern Ireland’s capital city which is on the rise on the global stage. Marc Mulholland, Executive Producer of Broadcasting and Executive Director of the Basketball Hall of Fame Belfast Classic said: “We are delighted to welcome CBS Sports Network back onboard as we have the opportunity once again to bring NCAA Division I College basketball back to Belfast, Northern Ireland. We have forged a great working relationship with CBS Sports Network, as we built a strong foundation during last year’s Belfast Classic by delivering a highly successful broadcast production which led to strong viewing results from homes throughout America. The Belfast Classic tournament has been brought to Northern Ireland through a partnership with the Sport Changes Life Foundation, the Naismith Memorial Basketball Hall of Fame and the Metro Athletic Conference (MAAC). The tournament will feature teams from well-known sporting universities across the USA including University at Albany; University at Buffalo; Dartmouth College; LIU Brooklyn; Marist College; University of Wisconsin – Milwaukee; University of San Francisco; and Stephen F. Austin University. The Basketball Hall of Fame Belfast Classic kindly thanks event partners and sponsors including: the Naismith Memorial Basketball Hall of Fame, Metro Atlantic Athletic Conference (MAAC), The Rory Foundation, Tourism Northern Ireland, Tourism Ireland, Belfast City Council, Velocity Worldwide, official airline partner Aer Lingus, Chaka Travel, medical partners Kingsbridge Private Hospital, Hastings Hotels, and Massive PR for their support in enabling the growth of the 2018 Basketball Hall of Fame Belfast Classic. About the Basketball Hall of Fame Belfast Classic: The Naismith Memorial Basketball Hall of Fame Belfast Classic presented by Sport Changes Life and the Metro Atlantic Athletic Conference (MAAC) is back for its second year and has doubled in size, with eight US college men’s basketball teams scheduled to play over three days of gameplay at the SSE Arena Belfast (University at Albany; University at Buffalo; Dartmouth College; LIU Brooklyn; Marist College; University of Wisconsin – Milwaukee; University of San Francisco; and Stephen F. Austin State University. Held in conjunction with the MAAC, Sport Changes Life, Rory McIlroy’s Foundation – the Rory Foundation – Aer Lingus, Belfast City Council, Velocity World Wide and The SSE Arena, Belfast, the Belfast Classic take place from 29th November – 1st December with teams playing in two brackets, Samson and Goliath. The event is powered by Darius, Velocity Worldwide’s customer engagement technology to create an experience like no other for the fans attending the unique event. About Sport Changes Life Foundation: The primary goal of SCL is to provide an opportunity for raising the aspirations of young people on both sides of the Atlantic so that they can live out their dreams and guide them as sport changes their lives. Sport Changes Life is a sports foundation built on inspiration, hope and victory and works in disadvantaged communities to help young people find a path to a brighter future with the help of their international student athletes, the Victory Scholars. In February 2016, SCL formally partnered with The Rory Foundation as both foundations strive together to help change the lives of young people on the island of Ireland and beyond. About the Metro Atlantic Athletic Conference: With 11 institutions strongly bound by the sound principles of quality and integrity in academics and excellence in athletics, the MAAC- is in its 38th year of competition during the 2018 – 2019 academic year. Current conference members include: Canisius College, Fairfield University, Iona College, Manhattan College, Marist College, Monmouth University, Niagara University, Quinnipiac University, Rider University, St Peter’s University and Siena College. About the Naismith Memorial Basketball Hall of Fame: Located in Springfield, Massachusetts, the city where basketball was born, the Naismith Memorial Basketball Hall of Fame is an independent non-profit 501(c)(3) organization dedicated to promoting, preserving and celebrating the game of basketball at every level – men and women, amateur and professional players, coaches and contributors, both domestically and internationally. The Hall of Fame museum is home to more than 400 inductees and over 40,000 square feet of basketball history. Nearly 200,000 people visit the Hall of Fame museum each year to learn about the game, experience the interactive exhibits and test their skills on the Jerry Colangelo “Court of Dreams.” Best known for its annual marquee Enshrinement Ceremony honouring the game’s elite, the Hall of Fame also operates over 70 high school and collegiate competitions annually throughout the country and abroad. For more information on the Basketball Hall of Fame organization, its museum and events, visit www.hoophall.com, follow @hoophall or call 1-877-4HOOPLA. About CBS Sports Network: CBS Sports Network is widely available through all major cable, satellite and telco distributors as well as via OTT streaming service providers YouTube TV, fuboTV, PlayStation Vue, DirecTV and Hulu. Additionally, a live CBS Sports Network stream is available through CBSSports.com and the CBS Sports App by authenticating with select providers. For more information, including a full programming schedule, go to www.cbssportsnetwork.com.